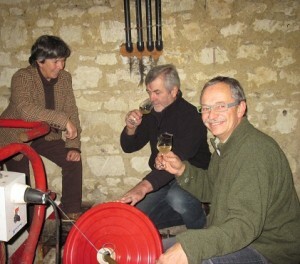 Simon and Karin Grainger spend the summers at their french home, Manoir de Gourin, 15 miles south of Saumur, and for the last nine years have been running wine tours in this part of the Loire valley. Simon and Karin are passionate about the quality and diversity of the wines in this region, to such an extent, that they now also run a business importing these local wines into the UK. Why not join them to experience their passion and the passion of our winemakers in the heart of the Loire valley wine region? Simon's interest in wine started at a young age following his father around France on wine tasting holidays and this was followed by many years visiting and gaining knowledge of the wine regions of France. Now his depth of knowledge of the local wines is second to none. Through his talks during your stay you will learn about the history of wine making in the Loire valley, its development since the time of the Romans, the process of making wine, and the nuances of the different appellations. Karin makes her own jams and preserves from soft fruits from their garden and uses fruits and vegetables from her potager in her recipes. 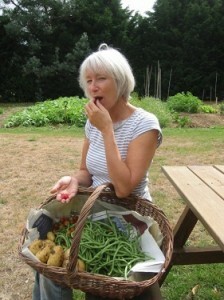 Karin produces delicious food with an emphasis on good local ingredients. A far cry from her previous life as a solicitor in Cardiff ! 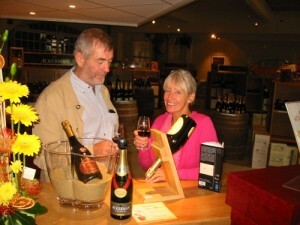 Simon and Karin are impartial and independent, and not affiliated to any one vineyard. Simon is able to provide unbiased opinions and advice on the varying quality and vintages of the wines of the region. He seeks out winemakers who produce their wine with the minimum of interference, allowing the taste of the grapes and the soil to dictate the style of the wine. At Manoir de Gourin Simon and Karin have the perfect venue to make your wine tour a holiday to remember – a beautiful house and gardens for you to enjoy and a fantastic position in the middle of the Anjou and Saumur vineyards. They are committed to providing you with the best there is to offer and their guest testimonials are proof of this. Together with our carefully selected vignerons they will provide you with a first class experience of the selection and tasting of the local wines and the methods used in producing that lovely bottle.